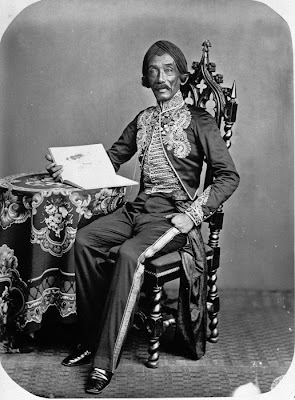 Indonesian painter's full name Raden Saleh Sjarif Boestaman (1811 - 1880) was born in Terboyo, Semarang from an aristocratic family of Arabic descent. he was an Indonesian romantic painter of Javanese ethnicity who pioneered modern Indonesian art. 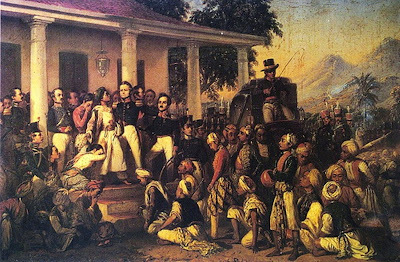 he was considered to be first modern artist from Indonesia and his painting corresponded with 19th century romanticism which was popular in Europe at the time. 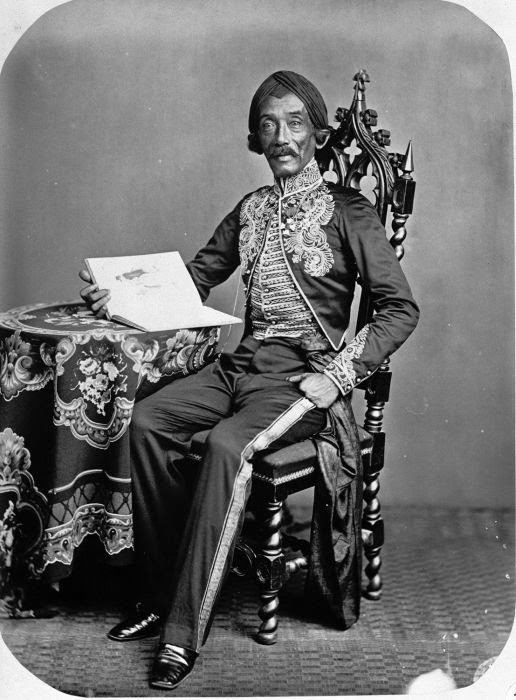 Raden Saleh also the first Indonesian painter that systematically uses oil paint and take the western techniques realism in of motion, perspective and composition. 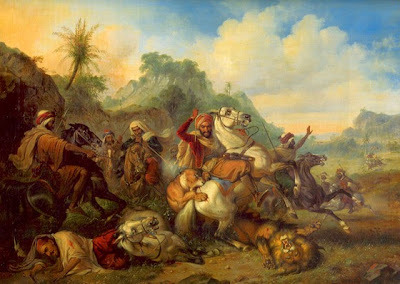 he had a lot of painting in the romantic style with a dramatic composition. many of his painting accepted into the various royal and private collection in Europe. his artwork can even enter large museum, like the Rijk Museum in Netherland dan Louvre Museum in France. after a long time from his death, his work was recognized and admired by some foreign countries, as evidenced in September 2011 in Dresden, Germany held an exhibition of his work. 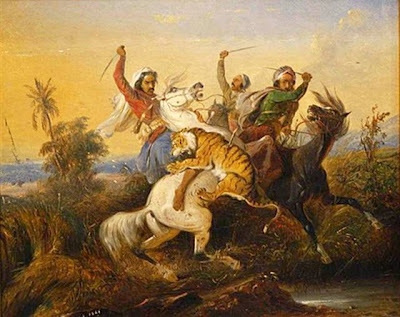 Raden Saleh some famous painting such as " Diponegoro aressts", "Bison Hunting", "Fights with Lions".